Every person has a wish to look smart and fit without any extreme weight/fat on their bodies. There are various methods to get the desired weight which you want to maintain. There are some important tips that you should follow if you want to lose weight quickly. These tips are easy & quick to apply with no hard work required at all. It just wants a strong promise to it. If you have decided that an online weight lossprogram is the best decision for you keeping with your diet goals, it is a fabulous way for you to lose way and get back into shape on your schedule. A lot of people pursue such a diet for just such a reason: they are so busy that they do not have time to pursue a traditional weight loss program. While there's nothing wrong with using an online program, there are some elements that you will want to keep in mind along the way. Use this guide to better reach the dieting goals you have set forth. It's important that you have some sort of goal outlined. This is also inclusive of you having a target date to reach a certain weight. By doing so, you will feel mentally as if you have a deadline that you are unable to break and that you must meet (much like a deadline at work). Perhaps you can set a target weight loss goal of so many pounds by such a date, which can help you stay focused and keep on track. With an online weight loss program, there will not be people bugging you to work out. There will not be an instructor nagging you to adjust your diet or to hit the gym. There will only be you. Therefore, you need to ensure that you become your own drill instructor. It may be a difficult change at first, but only you can hold yourself accountable. If you want to drop the pounds, you will have to start exercising. 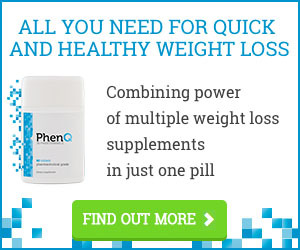 There is no such thing as a magical pill that makes you lose weight overnight. It takes hard work, effort, time and exercise. Instead, try and find ways to exercise that incorporate something that you love to do. Consider hobbies like biking, kayaking, running, sports, yoga martial arts and others to have a blast while you zap calories and purge unwanted fat. Be sure that you never, ever break your diet. Stop making excuses. Just because you work out does not mean that you can eat whatever you like. Eating bad foods and breaking your diet will only set you back. Install your drill instructor mentality here, and crack the whip mentally any time that you feel you may be tempted to break your diet. It is important that you increase the amount of workout that you get for maximum weight loss. Find something which you really like to do. For example, if you love to dance, get some good videos of exercise that include dance. A lot of exercise channels are running that telecast workout videos so that you can pick and choose for your weight loss program. If you find an exercise which you really find enjoyable, you’ll be looking forward to it every day. So hopefully you’ll find that this is a simple weight lossplan for you to follow. Now that you’ve put these easy weight loss tips into practice, you can continue to implement these ideas for as long as you need to. Just do try and keep it to 2-week blocks of time so that you can celebrate the small goals along the way.